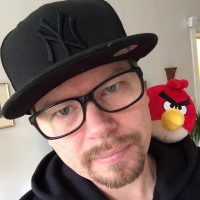 Andreas Thorsén is the Technical Director & Product Lead of Rovio Stockholm where he helped push Angry Birds 2 out of the door. Previously Senior Producer at Avalanche Studios where he was leading the team behind the arcade shooter Renegade Ops. Avid mobile gamer and a top ranking Puzzle & Dragons player, Andreas is yet easily spotted in Pinball competitions around the world.